The Mark of Athena burns through Rome." This third installment in the series is long overdue, as far as I am concerned, because I don't want to wait any longer. The series has been fulfilling so far and I can't wait to read how the events will turn out. There is a saying that says, "Don't judge a book by its cover," but right now I can't help but convince my self that the story will be great because the cover was fantastic. I wish I will not be disappointed. 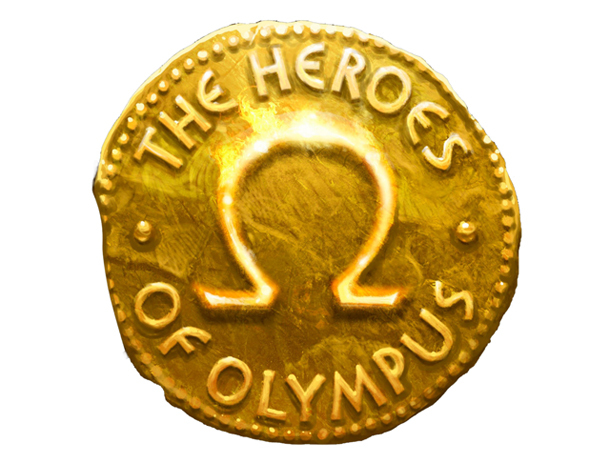 Or if you really wanted to read it yourself, you can do so in The Heroes of Olympus Disney page. I like it very much how Rick Riordan acted out the dialogue of his characters. It is just ten times funnier compared to when I am reading it on my own. I simply just can't wait for October 2, 2012, when the book will be released world wide. For now, this helpless fanboy can do nothing, but oggle over the cover art of The Mark of Athena, the third book of The Heroes of Olympus.